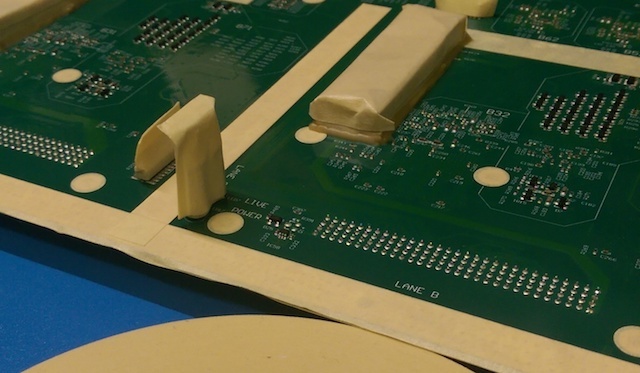 The use of various masking materials such as tapes, dots, and liquid latex can be an effective process in protecting components from ingress of conformal coating on a printed circuit board assembly. However, the masking process can be difficult and time-consuming. This can increase the process costs significantly. In fact, in many cases, the masking and de-masking processes can be >75% of the actual conformal coating process time and costs. The masking time is reduced significantly. Masking boots can be 4-5 times quicker to use than masking tape. De-masking time is reduced significantly. Again it is much quicker to remove masking boots than tape. Masking boots don’t leak as easily as masking tape. So, there is less likely to be repaired. These reasons mean you can save a lot of money very quickly when switching to masking boots. Want to find out more about conformal coating masking boots? One of the most underestimated reasons for using conformal coating masking boots is that they improve the reliability of the process. This is because they don’t leak as easily as conformal coating masking tape can! The reality is that a well-designed boot will not allow conformal coating to penetrate into a component if it’s placed correctly; and the fact is that this is a very easy thing to do. An operator using masking tape has to continuously show care and attention when applying the tape to the components. The level of skill required is high. The level of skill required to apply a masking boot is much lower. So, fewer errors are made and there are less costly repairs due to leaks. Therefore, not only do you save up to 60% of your conformal coating masking costs due to reduced process times with boots but you can also improve the reliability of the masking process. 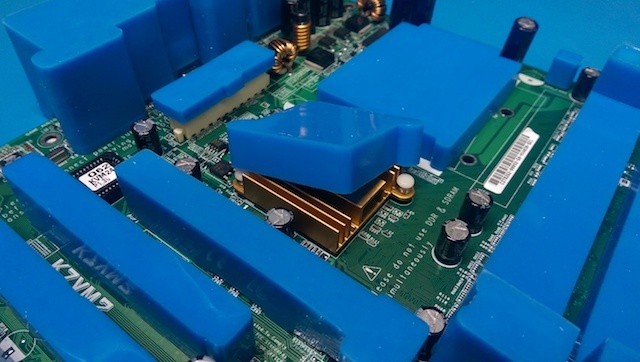 Need to know more about conformal coating masking boots in your application process? Contact us now and we can discuss how we can help you. Call us on +44 (0) 1226 249019, email your requirements on sales@schservices.com, contact our distributors direct or complete the details in the contact form. What would happen if I don’t mask a component or my circuit board correctly and apply conformal coating? The simple answer is the conformal coating is likely to go where you don’t want it to. This will lead to the obvious step of either repairing the leak, stripping the conformal coating off the circuit board, removing a component to replace it or scrapping the board. Therefore, the best option is to learn to mask printed circuit boards correctly. For help on this talk to SCH directly. We can help with all your masking requirements and offer free advice on how to mask. Check out our website at www.conformalcoating.co.uk or call us on +44 (0) 1226 249019, email your requirements on sales@schservices.com, contact our distributors direct or complete the details in the contact form. How did Diamond MT save 60% of their costs in conformal coating masking? 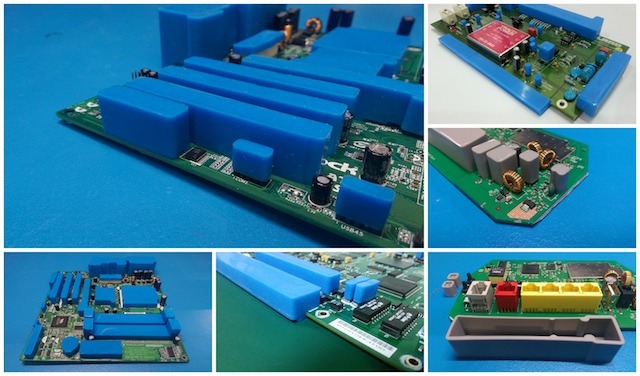 Diamond MT, a conformal coating and Parylene coating service provider found they saved 60% of their current costs by switching to the SCH range of conformal coating masking boots. Sean Horn, Diamond MT, explains how they did it…..
“We had initially wanted to try SCH’s conformal coating masking boots for price savings. However, once we began to work with Lee on our specific masking application, we realised that we could extend the life of our boots over 200%. We switched immediately! Sean Horn, Director, Diamond MT, Parylene and Conformal Coating Subcontract Service Provider. SCH found they were overwhelmed for enquiries for their reusable conformal coating masking boots at the Productronica Show in Munich this November. Dr Lee Hitchens explains more. We obviously sell a large range of products related to conformal coating and had enquiries all round. But, we couldn’t believe how much interest was shown in the boots. In fact, at one point we thought we were going to run out of brochures even though we had brought a ridiculous amount with us! I guess its because there is very little option for people in coating. You either mask with tape or selectively coat. However, many companies just cannot justify the costs of the machine. The masking boots offer a great alternative to the tapes and dots and people genuinely save large amounts of money time and time again when we show them the savings! The use of other materials such as masking tapes, dots and liquid latex can be an effective process in protecting components from ingress of conformal coating. Recyclable masking boots offer a labour saving alternative in both the masking and de-masking stages of the coating process.